Eater New York: “A Complete Guide to New York City Pizza Styles,” by Nick Solares. I’ve long wanted to read an article like this, a thoughtful pieces comparing the various common styles of pizza. 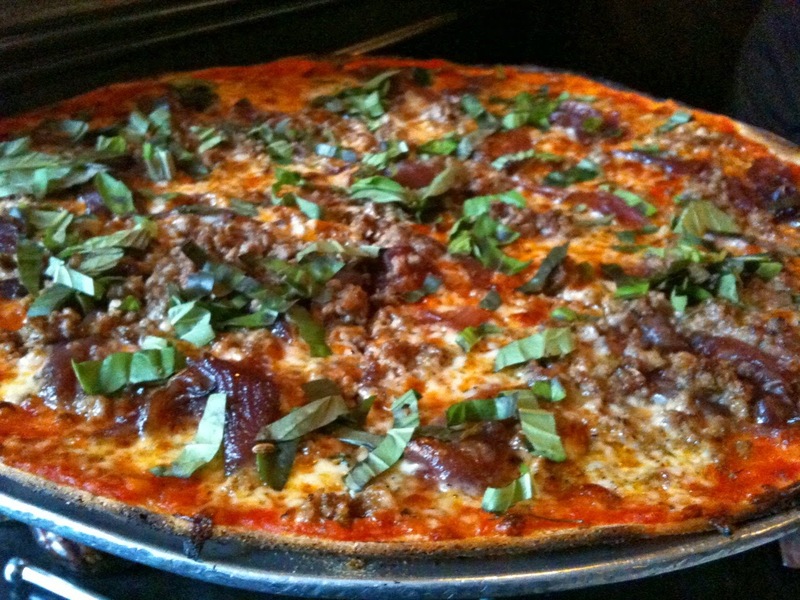 Although written as a guide to pizza in New York, these styles are available elsewhere too. Solares also covers types of pizza outlets: chains, food trucks, etc. I learned that the pizza served at my favorite New York pizza restaurants, Posto and Vezzo, is Roman. Eater New York: “As Expected, Eataly Wine Store to Close for Six Months,” by Greg Morabito. It was reported last week that New York restaurant partners Mario Batali and Joe Bastianich were faced with possible 6-month suspensions of the liquor licenses in their New York restaurants, including the four-star Del Posto and Lupa, my favorite place to get good pasta. Thankfully a settlement was reached that will result in Eataly’s wine shop closing for 6 months, while the restaurants retain their liquor licenses (a bummer, but not nearly as bad a blow as a set of major Italian restaurants not being able to serve wine). New York Times: “The Casserole Catches Up,” by Melissa Clark. It’s true that “casserole” doesn’t exactly conjure images of haute cuisine, the dish tainted by too many bland versions dominated by salty (but yet tasteless) canned soups and crumbled junk food toppings. Like Clark, I think the casserole doesn’t have to be a joke (see my attempt at a better version of Thanksgiving Green Bean Casserole). I’d really like to try the Beet Crumble, which she describes as “a béchamel-bound dish with clothbound Cheddar and a nubby, peppery oatmeal topping — each bite is different from the last, with sweet beet, soft beet greens and crunchy hazelnuts vying for dominance on your fork. 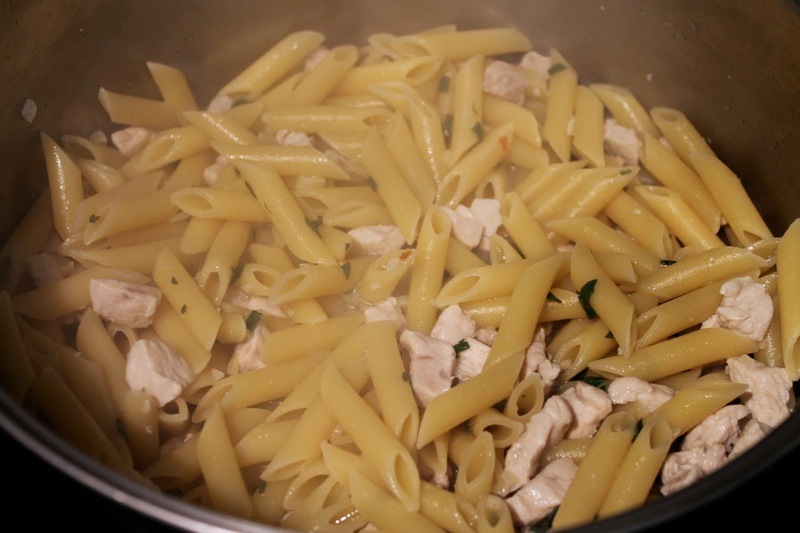 It’s both familiar (picture mac and cheese with vegetables instead of pasta) and utterly unexpected.” Mmm…. Slate: “The Woman Who Invented the Chocolate Chip Cookie,” by Carolyn Wyman. Ruth Wakefield. That’s who invented America’s favorite cookie. No, not the Oreo, the chocolate chip cookie! Wyman chronicles how Wyman, owner of the Toll House restaurant (ring a bell? Nestle’s chocolate chips carry the “Toll House” moniker), jazzed up a batch of butterscotch cookies by adding chopped chocolate. Quartz: “The Slow Death of the Microwave,” by Roberto A. Ferdman. Is the microwave the elephant in the room? We all have one, well, at least 90 percent of us, according to Ferdman’s article, which chronicles the historical rise and recent decline of the device many consider the most mysterious of common kitchen appliances (it cooks with radiation! News flash: so does your oven!). Washington Post: “Bakery Apprentices Learn the Ins and Outs of Opening a Food Business the Hard Way,” by David Hagedorn. This story about the forthcoming Bread Furst bakery has ben really excited for personal reasons: the bakery is just a few blocks from where I live. And I’ve never lived near an honest-to-goodness bakery. Something that isn’t a convenience chain or a grocery store window. Hagedorn writes about baker Mark Furstenberg, his forthcoming Bread Furst bakery and his bakery apprenticeship program. In the mood for some spring cooking? 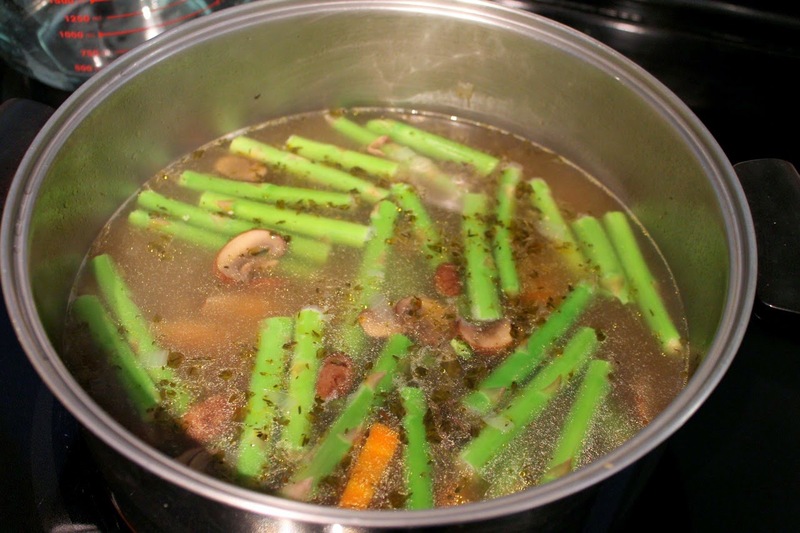 Food & Wine has put together this delicious slideshow with links to the recipes for making the best of seasonal fare such as haricots verts, mushrooms, asparagus, peas and mint. The Guardian: “Crisis in Korea as Younger Generation Abandons Kimchi,” by Justin McCurry. Just as Americans seem to be really getting into kimchi (and apparently the Brits as well), enthusiasm for the spicy cabbage dish in its mother country appears to be waning thanks to lesser-quality imports. Given that Kimchi is South Korea’s national dish, McCurry examines the cultural crisis. 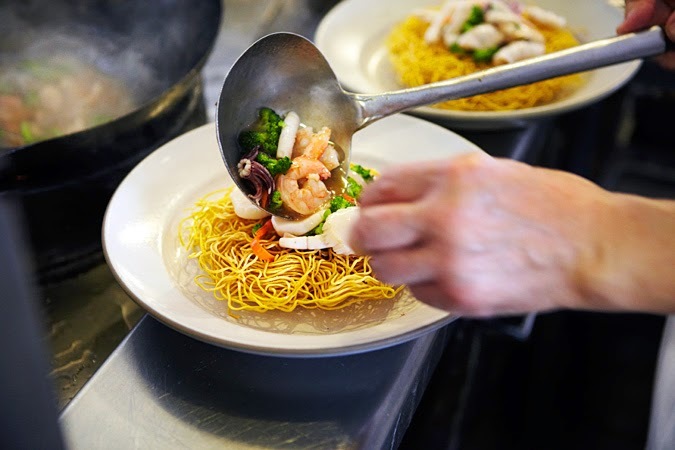 Bon Appetit: “20% Is the New 15%: Tipping in the Age of Digital Payment,” by Michael Y. Park. When it comes to tipping, it’s pretty established that 20 percent is the new 15 percent, but the advent of digital payment options are making larger tips even more the norm. I've liked blue cheese dressing since I was pretty young, which is unusual, since a lot of kids don't like blue cheese. And I was a really picky eater--it's actually rather shocking that blue cheese was my favorite salad dressing when I was about 9 or 10. For a long time I only ever had the creamy variety. Then one day we happened upon the Blue Heron French Cheese Company in Tillamook, Oregon. Blue Heron is a wonderful place to visit. The store is filled with free samples, a deli counter with amazing sandwiches and a nice variety of Oregon microbrews. Filling up on samples one day I discovered Riverhouse Blue Cheese dressing, which is a vinaigrette blue cheese rather than the typical creamy type. I loved the tangy flavor of the dressing and became an instant devotee. These days, I don't ever buy dressing (although I would buy Riverhouse if given the chance). However, I've sought to replicate the dressing with this recipe. 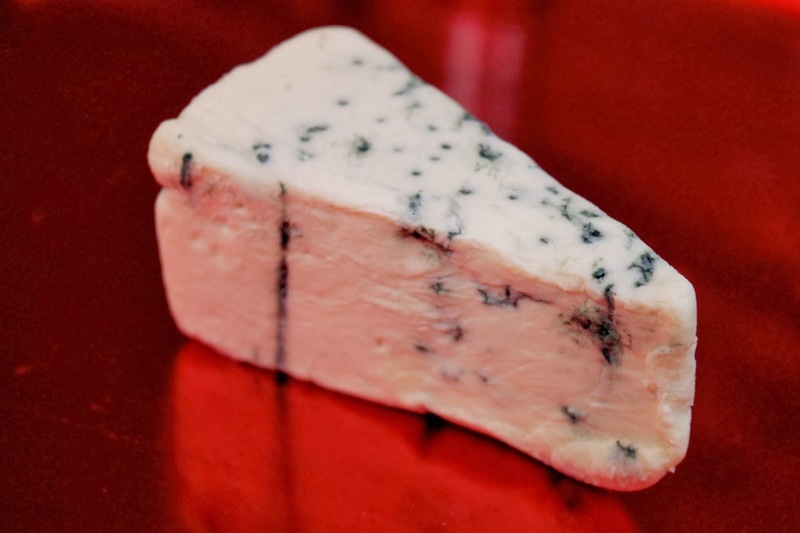 You could use any blue cheese you like, although I suggest not using one that's too soft, since it's hard to crumble. 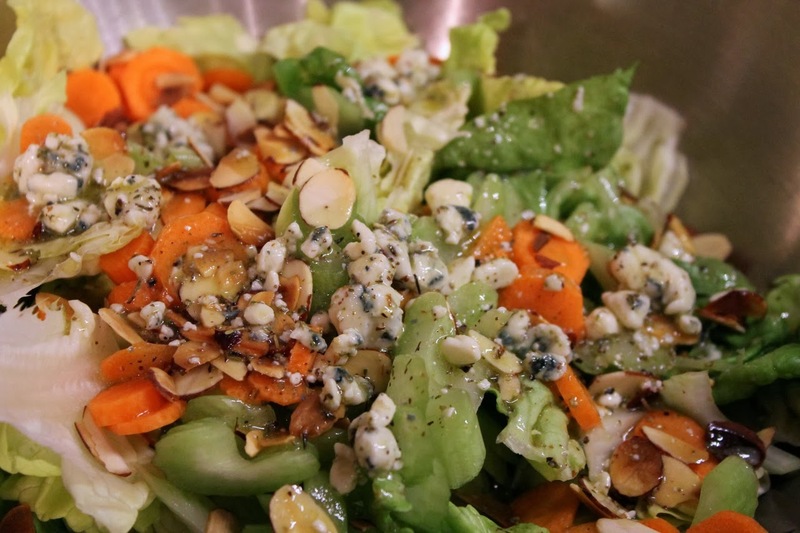 I served the dressing over a salad of bibb lettuce, carrots, celery and toasted almond slices with a few additional large chunks of blue cheese. 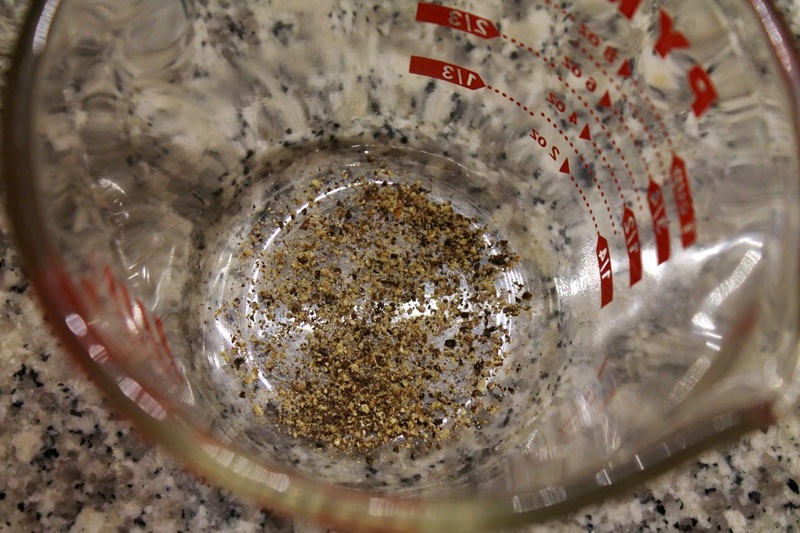 Combine the vinegar, sugar, salt, pepper and Italian seasoning in a 2-cup Pyrex measuring cup. Whisk with a fork until combined. 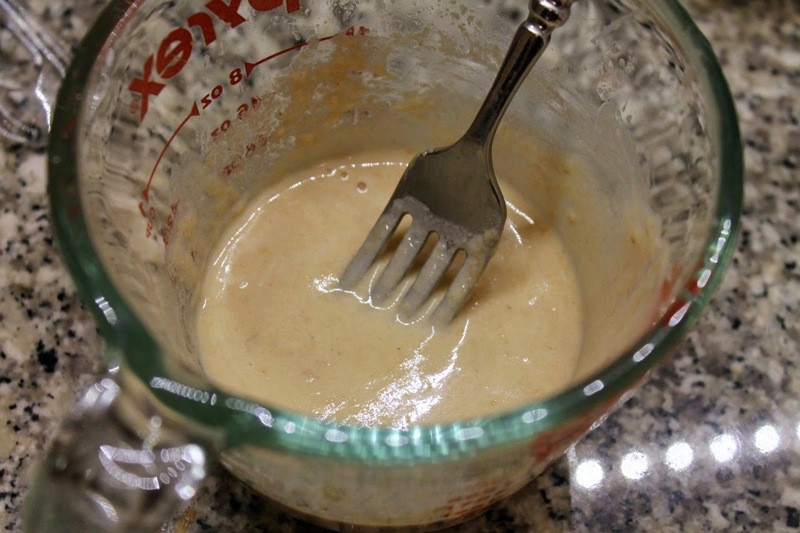 Add olive oil and whisk vigorously until the mixture is emulsified. Add the blue cheese and stir to combine. It's coming. This year's unrelenting chill will soon be over, and with its departure comes the arrival of spring produce. I'm really ready for some warmer weather and the fresher taste of seasonally available vegetables like really good asparagus, fresh peas, spring onions, etc. 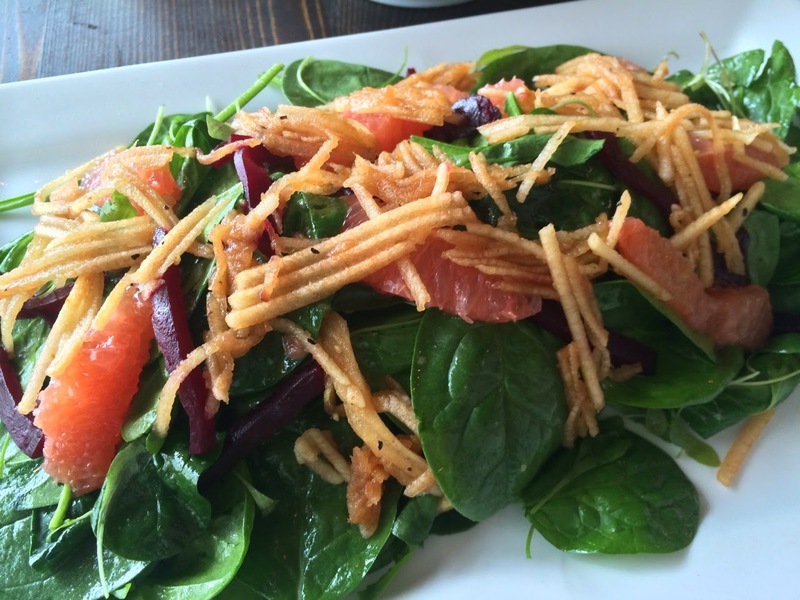 I'm celebrating the arrival of spring with a week focused on salads. While I've done this before, this year's unique twist is that I'm putting the focus on the dressings (don't worry, there are salad recipes and ideas this week too). You wouldn't leave home without your outfit and neither should a salad leave the kitchen without its dressing. 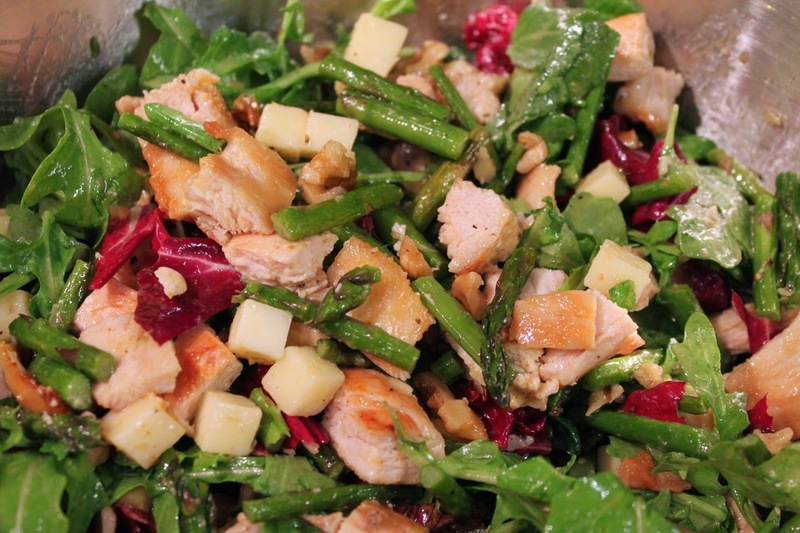 A good dressing pulls together and highlights the flavor of salad; it shouldn't smother or overwhelm it. Without dressing, a salad is just a bowl of naked vegetables. Today's featured dressing is a low-calorie version of America's favorite salad dressing, Greek Yogurt Ranch Dressing. I've substituted zippy nonfat Greek yogurt for sour cream and mayonnaise, creating a dressing with just as much tangy flavor but with fewer calories in a whole batch than in a typical single serving of traditional ranch dressing. 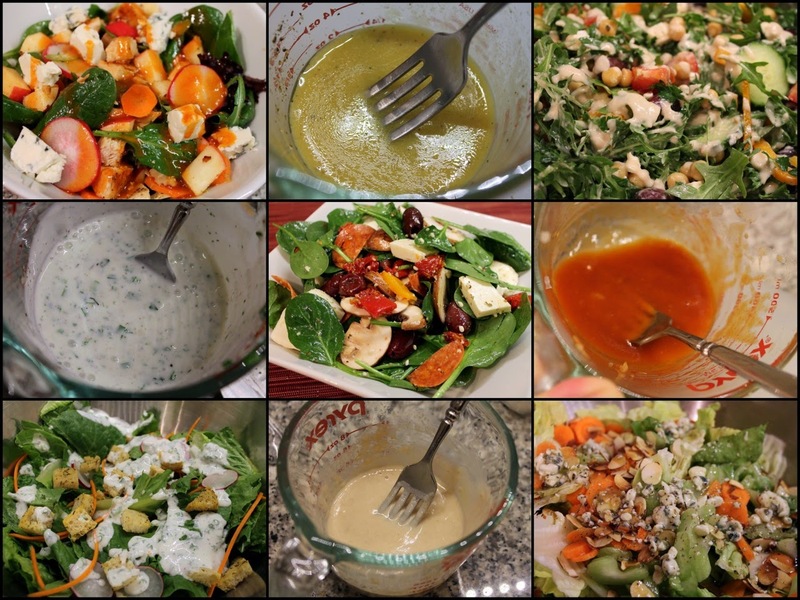 Later in the week, I'll share recipes for Blue Cheese Apple Cider Vinaigrette, French Dressing, Lemon-Tahini Dressing and, the mother of all salad dressings, Basic Vinaigrette. 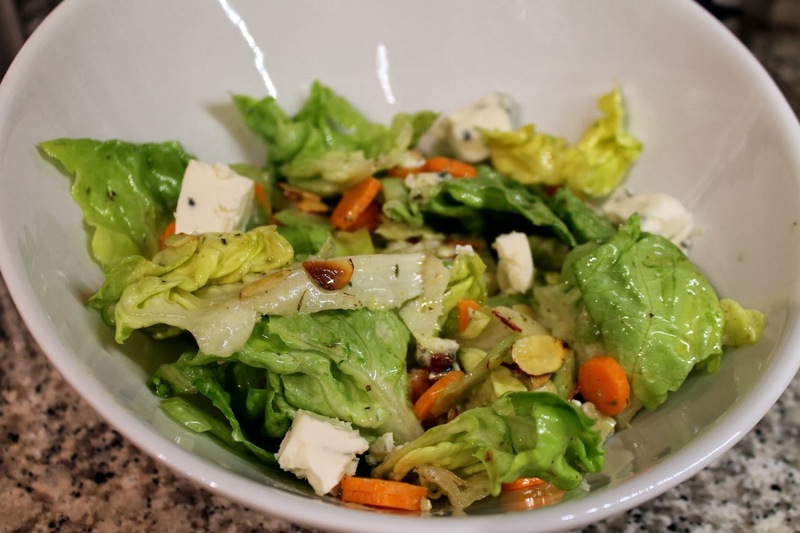 Along with those dressings, I'll also be sharing plenty of salad recipes featuring both seasonal and year-round ingredients. To get this conversation started, here are a few tips I've picked up through the years for dressing salads. Please share yours in the comments. I'm always looking for new ideas. 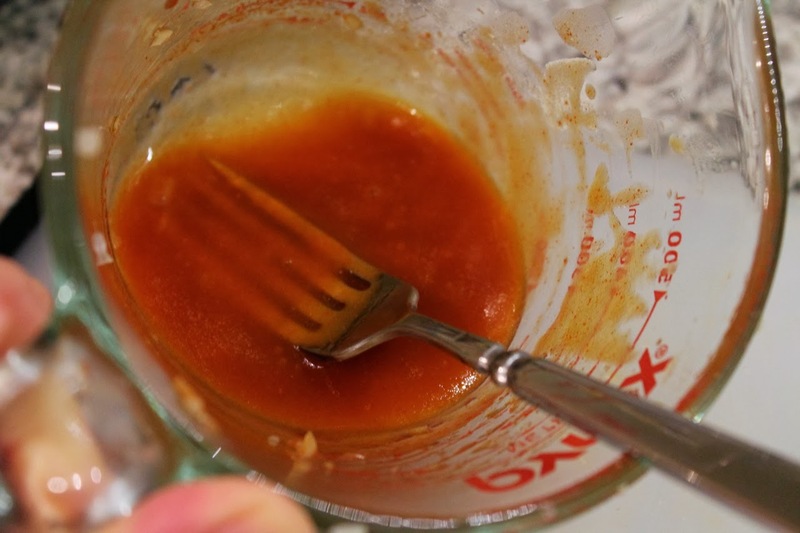 2) Don't use too much dressing. 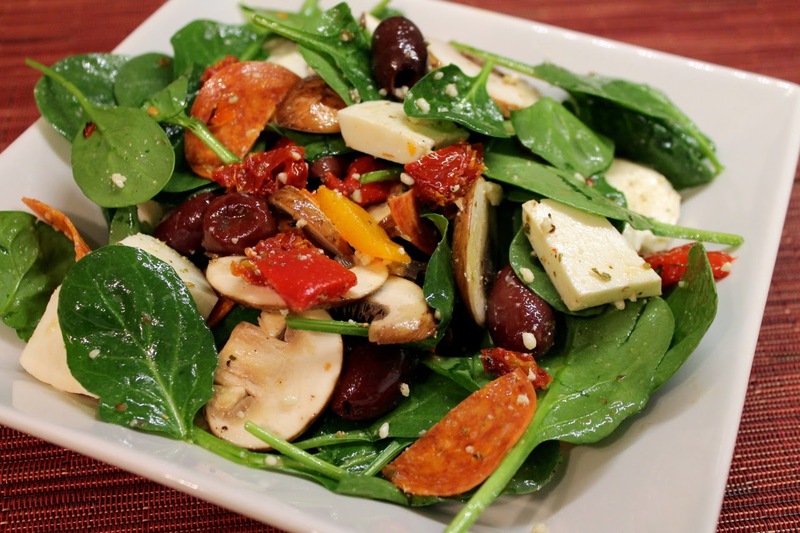 For most salads, the dressing should lightly coat the ingredients. 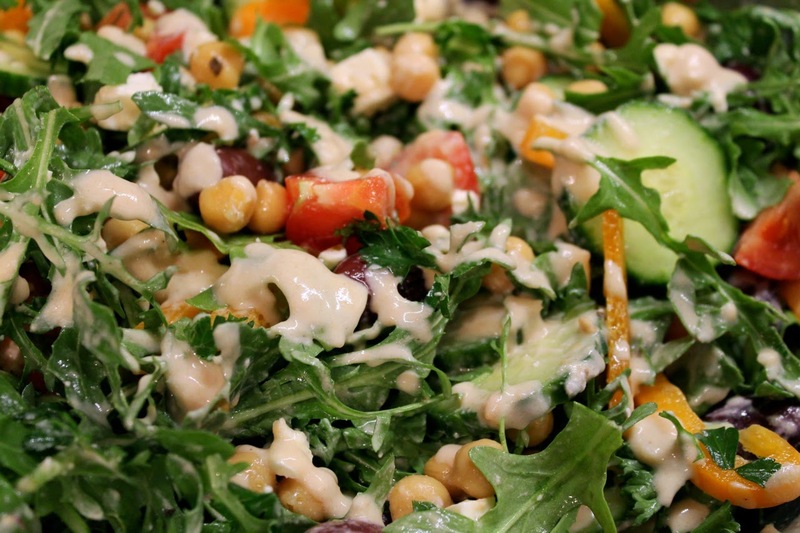 Salad ingredients can have delicate flavors, and too much dressing will overwhelm them. For a large dinner salad that Chris and I will split, I usually use 3 to 4 tablespoons of dressing for the bowl. 3) Toss the ingredients carefully. 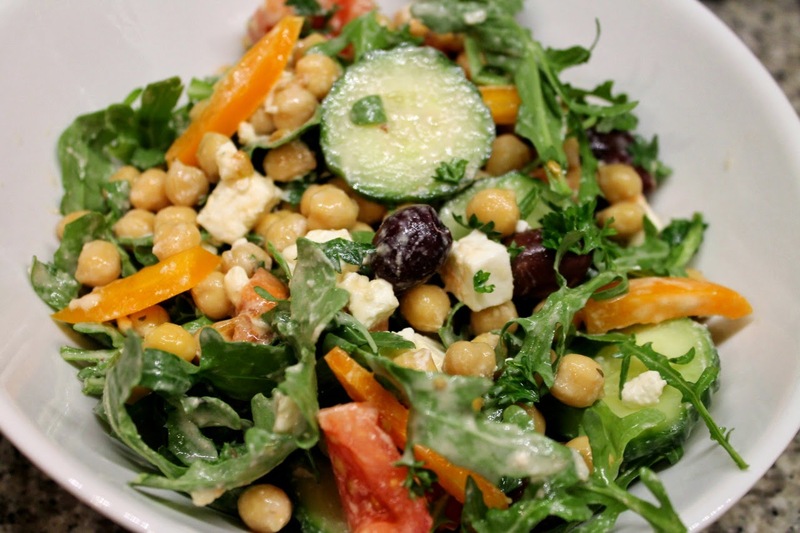 For most salads, you want to be careful to not bruise the ingredients while you're tossing them with the dressing. If you're using salad tongs, which I normally do, just be careful you're not crushing everything. Some people like to toss salads with their hands, which also gives you a good feel for whether you've used enough dressing. 4) Don't dress the salad too far ahead of time. 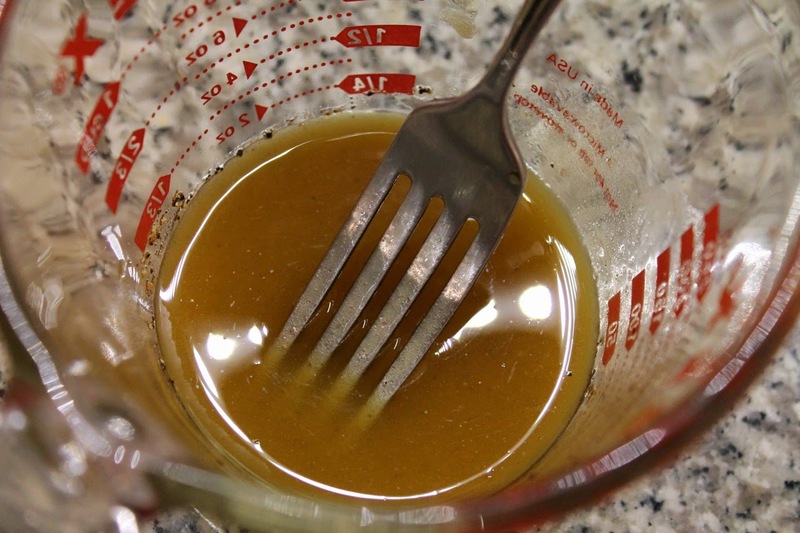 Salad dressings usually have acidic ingredients like vinegar or lemon juice that will react with the more delicate ingredients in the salad and make them wilt. If you dress your salad too far in advance and stick it in the fridge, it will be rather droopy by the time it hits the table. 5) Be creative. Salads are such an easy way to get creative in the kitchen. You don't really need a "recipe" for many salads. In fact, for several of this week's dressing recipes, I've stated what salad ingredients I tossed together, but didn't include a proper "recipe," since all you have to do is chop and combine the ingredients. 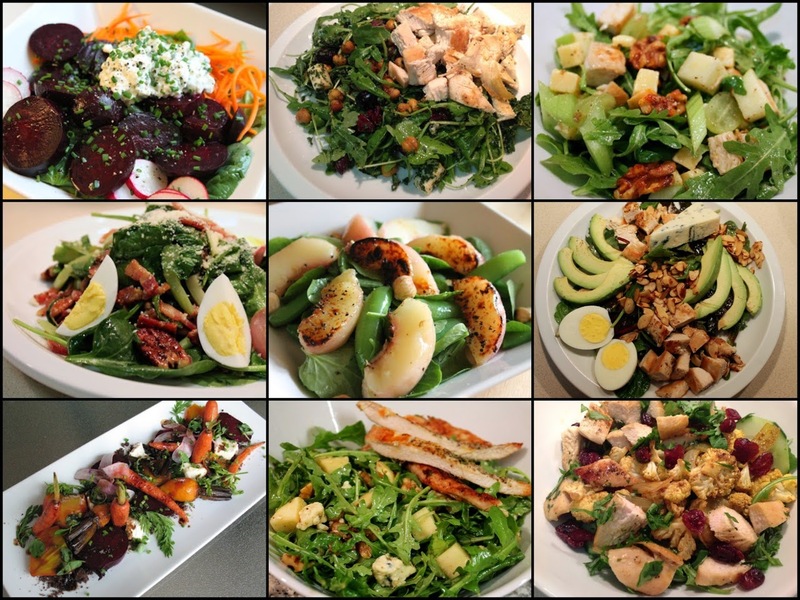 Salads offer a vehicle for variety, experimentation and expression. 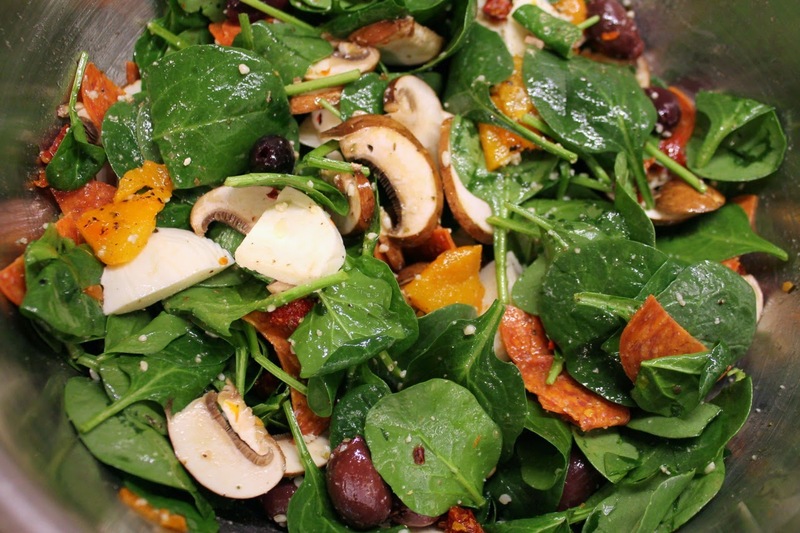 Do you want a minimalist salad highlighting one or two key ingredients? Or a "chop" salad that uses up a bunch of stuff in the fridge? 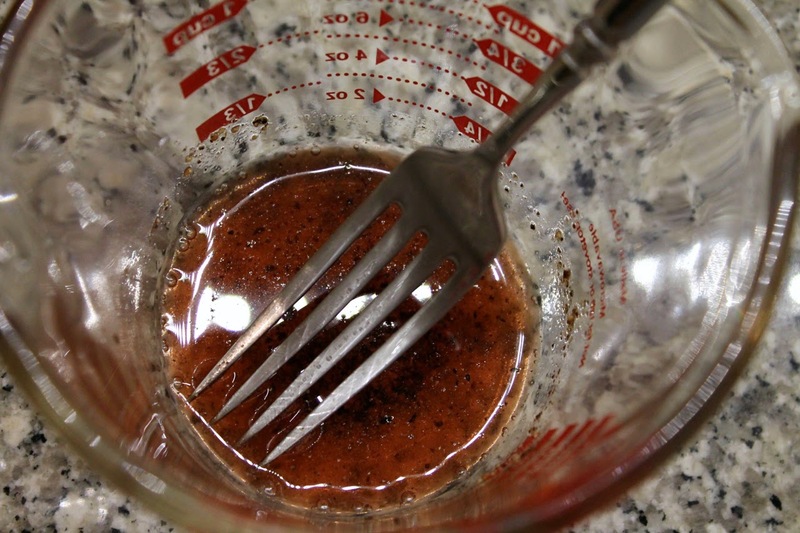 Similarly, dressings offer creative options--which vinegar to use, which seasonings, spicy or not, etc. You'll see that for several of these tips I caveated my statements with "most" or "usually," since there are exceptions. Potato salad, for example, is fine to dress well in advance--in fact, I think it's preferable. And a kale salad can be manhandled just fine. In all things, consider what you want your end result to be and act accordingly. We often turn to salad if we want or need to eat healthy, but unfortunately dressing is where the best intentions can get left in the dust. One time at a salad bar, I saw a guy who was fairly overweight and probably trying to eat healthier by having a salad douse said salad in six ladles of dressing. He might as well have ordered a steak. Ranch dressing is America's most popular salad dressing, but it's not exactly low calorie, especially if you love to load up a salad with it. Lacking a mortar and pestle, I turn to a Pyrex measuring cup and the rounded end of a wooden cocktail muddler when I need to grind something like garlic into a paste. 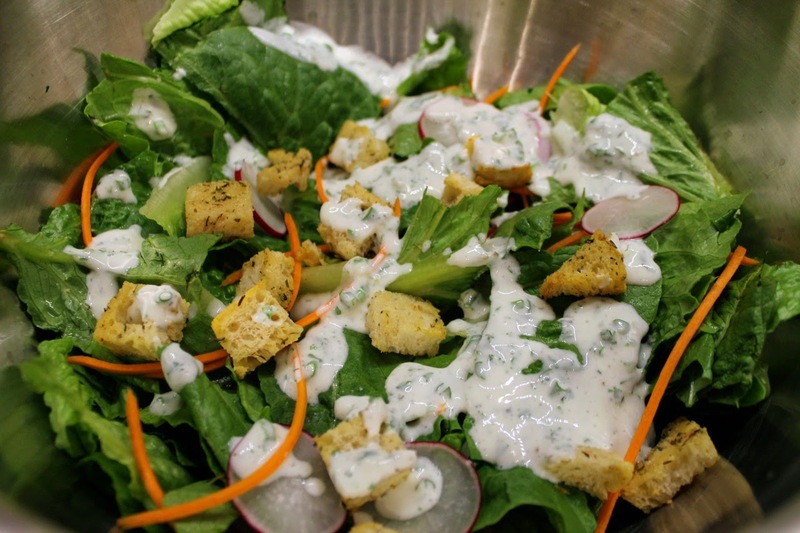 The most popular brand of ranch dressing has 140 calories for a 2-tbsp. serving, including 14 grams of fat. 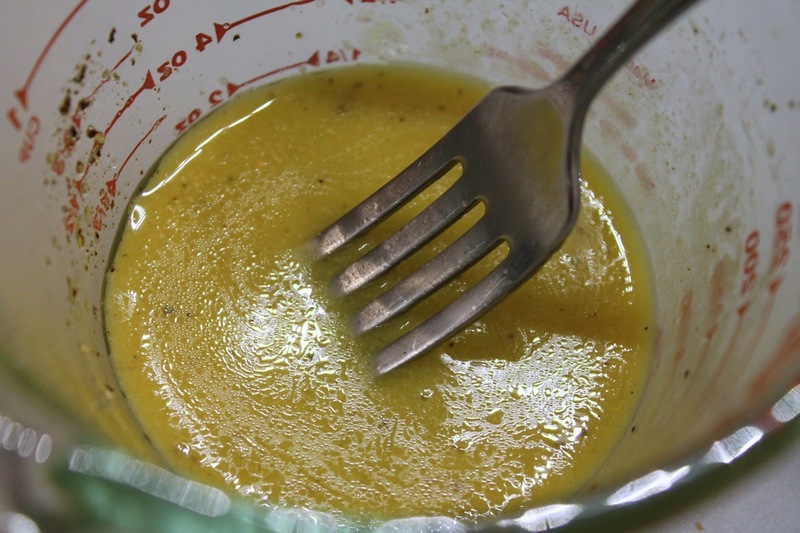 In contrast, the entire recipe for the dressing below, which makes over 3/4 cup (approximately 12-14 tbsp.) has about 105 calories and 1 gram of fat (according to the myfitnesspal.com recipe calorie calculator). This is a salad dressing so guilt-free that you can put more than a couple tablespoons on your salad if you want to. And it's full of flavor too. How did I achieve this miracle? I used nonfat greek yogurt, a pretty amazing substitute for a lot of higher-calorie dairy products. It's a great substitute for the traditional mayonnaise and sour cream in ranch dressing, adding a similar texture and tangy flavor. Ranch is a pretty versatile dressing that can also be used as a dip for crudite or chips. 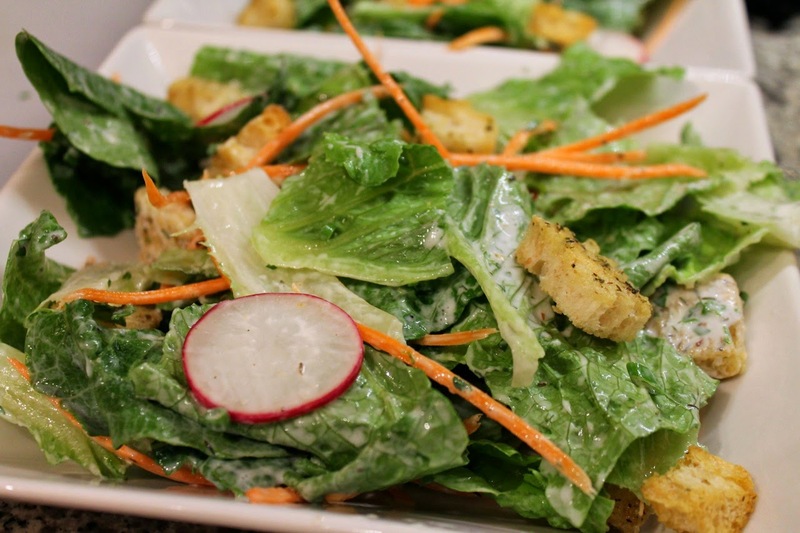 I tossed together a basic salad of romaine lettuce, sliced radishes, julienned carrots and buttery herb croutons (recipe for that at the bottom of the post). 1. 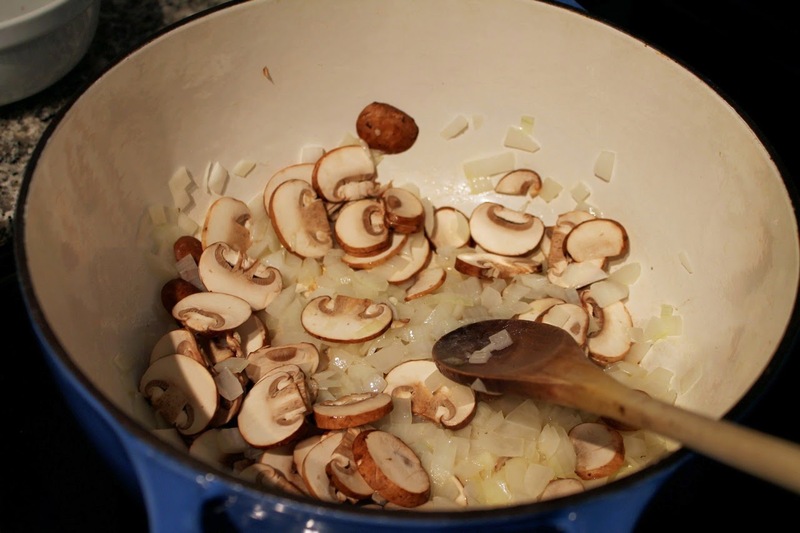 Mince garlic clove and add to a small bowl or, if you have one, a mortar and pestle. 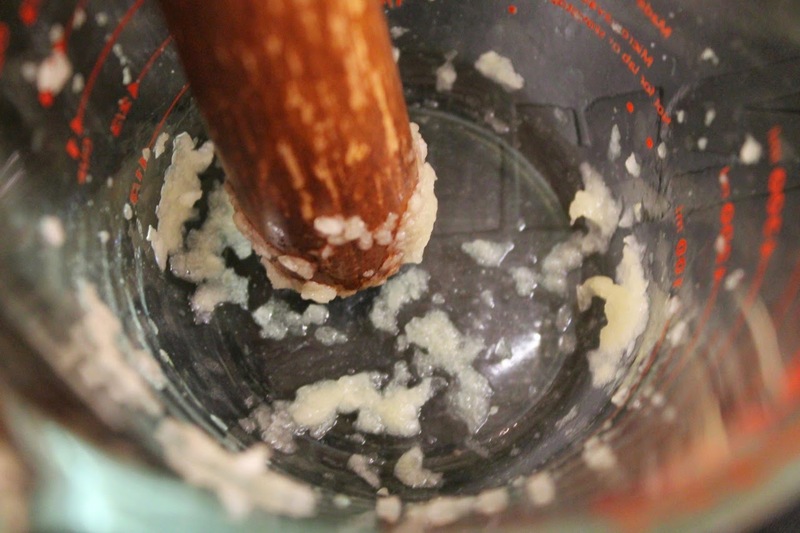 Using the back of a spoon, the rounded end of a wooden cocktail muddler or the pestle, grind the garlic into a paste (if using a mortar, transfer garlic to a small bowl). 2. 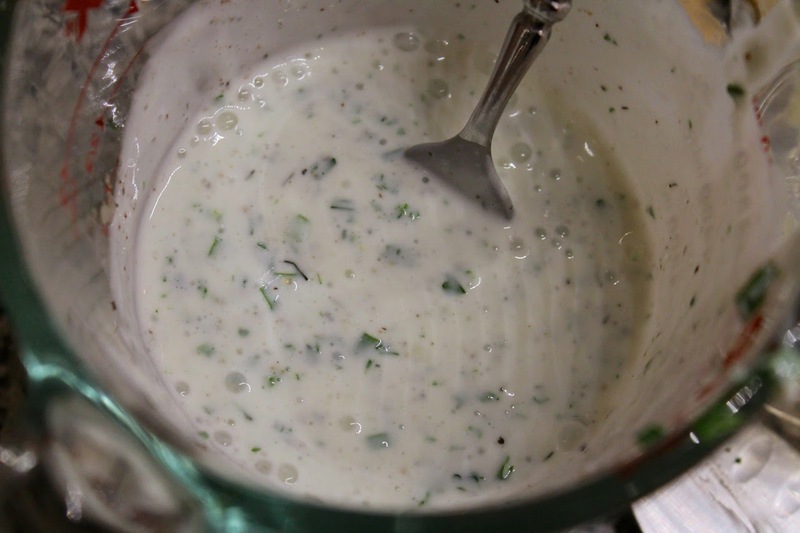 Add yogurt, chives, parsley, dill, buttermilk, vinegar and black pepper and stir until well combined. Add additional buttermilk if the mixture is too thick. Serve over salad or as a dip with vegetables or chips. Preheat oven to 375 F. Spread the bread cubes on a baking sheet and bake until dried out and lightly toasted, about 10 to 15 minutes. 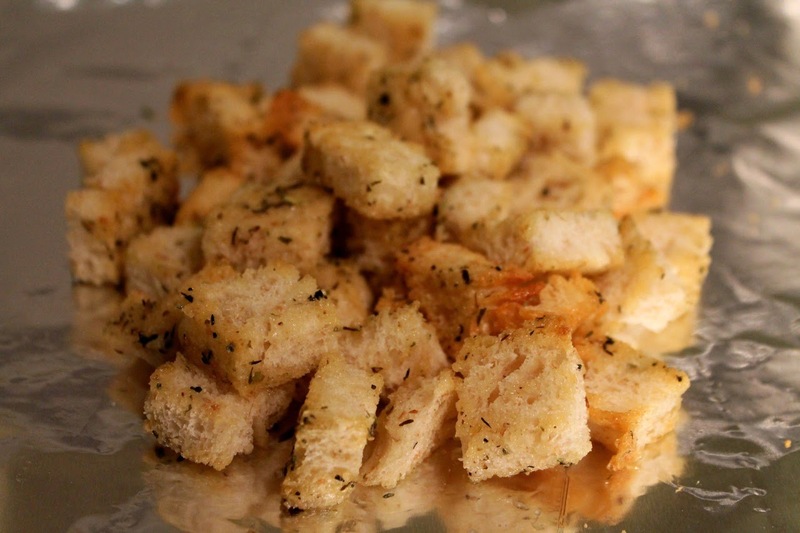 Melt the butter in a medium skillet over medium-low heat, add the bread cubes, sprinkle with Italian seasoning and toss to coat. This is another variation on easy weeknight salmon, this time featuring a heady dose of fresh ginger. This is the sort of versatile recipe you could change up in many ways. Agave nectar or maple syrup could be used in place of honey. 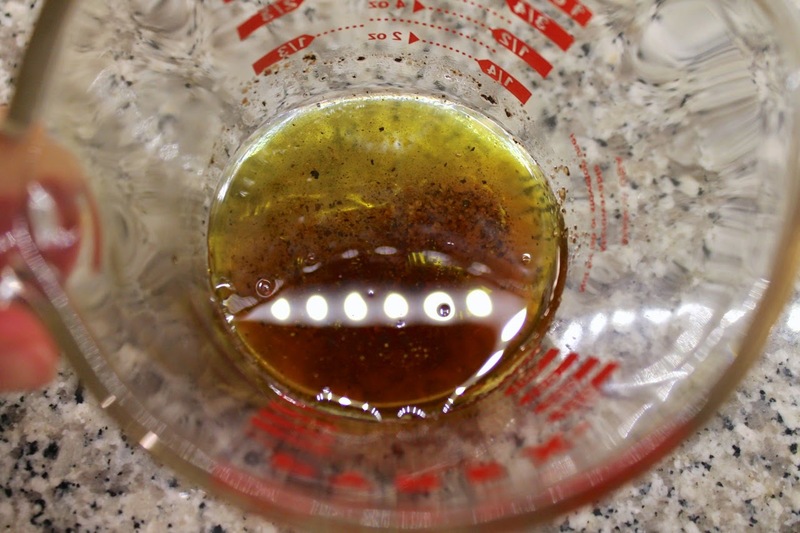 You could use a different mustard or a different oil, including adding a small hit of sesame oil. 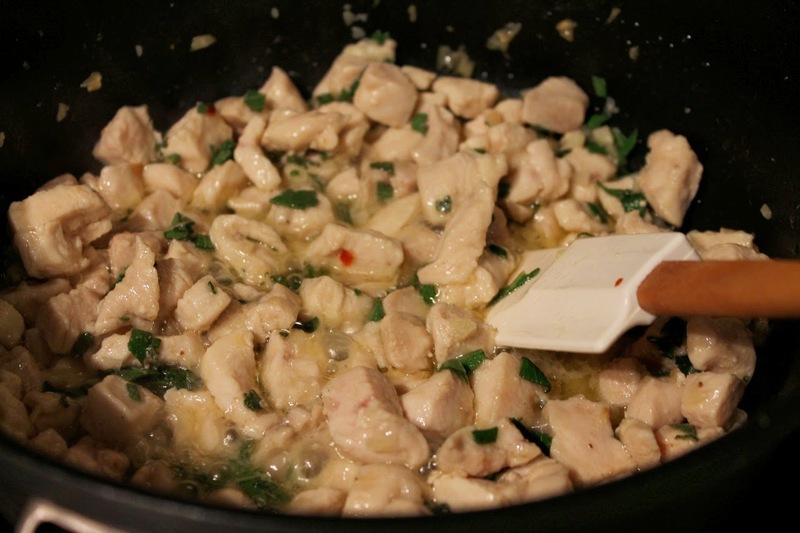 You could add soy sauce or a pinch of red chili pepper flakes. I'd recommend keeping each ingredient in the 1 to 3 tsp. range. Fresh ginger can be a bit daunting. I've tried using my microplane to grate it, but I find that doesn't work well. As an alternative, you can use a fork to scrape fresh ginger root into gratings, a technique learned from Food & Wine's "mad genius" Justin Chapple (and in included in The Feed recently). I also sometimes just chop it. This way you end up with minced ginger rather than grated, but that usually works fine. As a last alternative, you can cheat and buy the jar of grated ginger (don't feel bad, I actually did that this time). 2. Spray a small (9 x 9) baking dish with olive oil and set the salmon fillet in the dish. 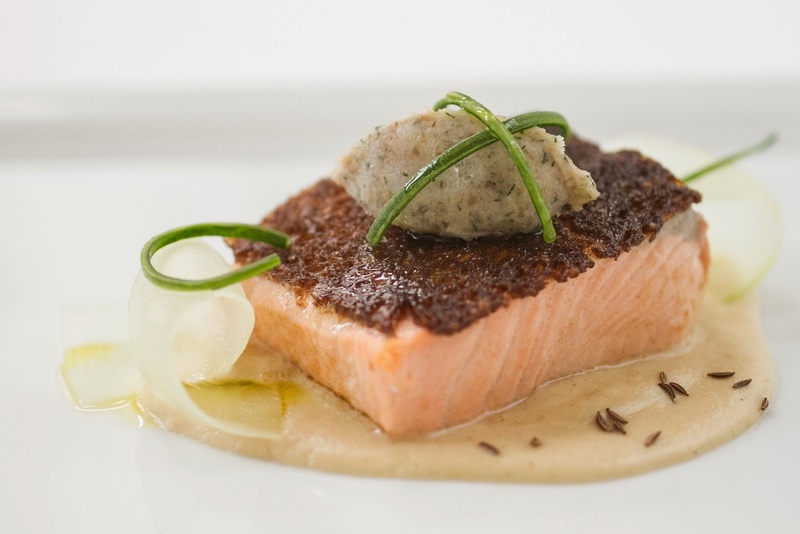 Combine olive oil, honey, mustard, ginger, salt and pepper in a small bowl and spread over the salmon. Bake for 15 to 20 minutes until the salmon flakes easily and is cooked through to desired doneness. 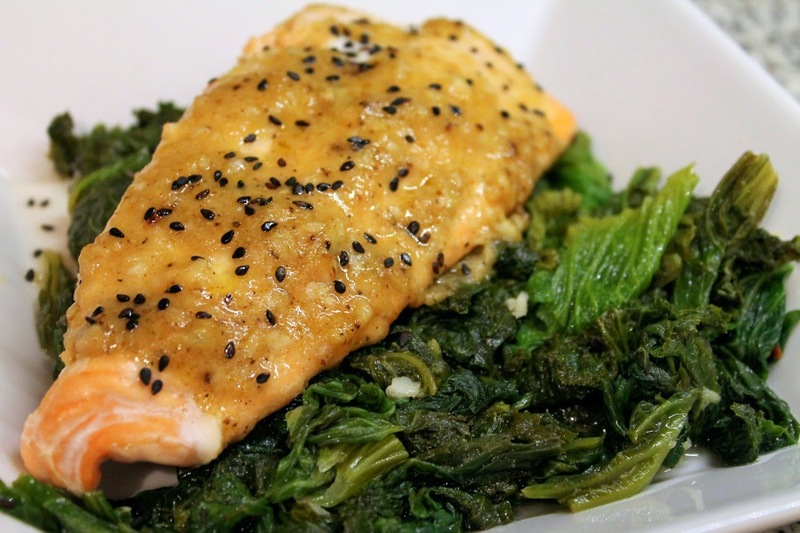 Serve over a vegetable (I used wine-braised mustard greens) and sprinkle with black sesame seeds. Last year, I had the very good fortune of dining in the restaurant that had just won the James Beard Award for Outstanding Restaurant. I'm talking about Blue Hill, Chef Dan Barber's farm-to-table establishment in Greenwich Village. I remember enjoying the atmosphere and the service. About the food, I said "it's the sort of thing you enjoy at the time but appreciate more as you reflect upon it later." This has proven to be true, as months later I still think about the various ways Chef Barber coaxed amazing flavors from simple sugar snap peas. 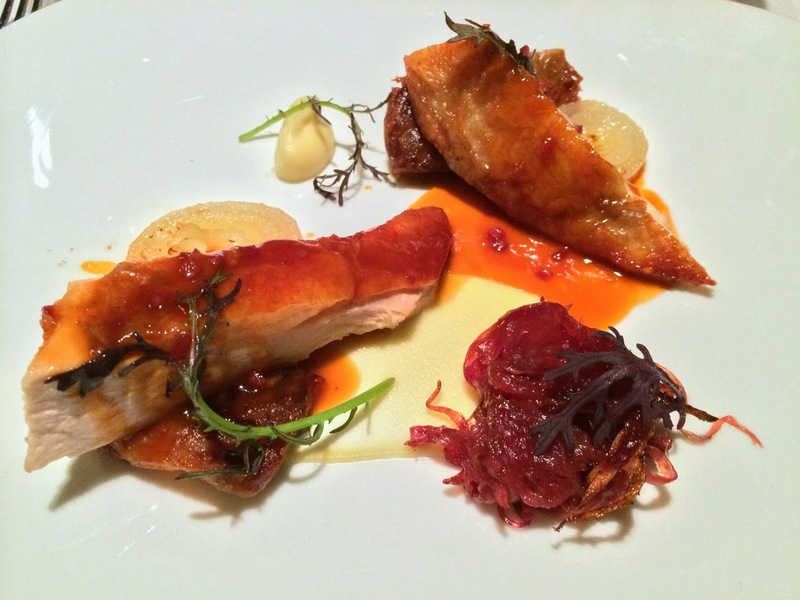 What makes a restaurant "outstanding" in the eyes of the James Beard Foundation? According to the award's criteria it's: "A restaurant in the United States that serves as a national standard bearer of consistent quality and excellence in food, atmosphere and service. Eligible restaurants must have been in operation 10 or more consecutive years. The owner of the restaurant receives the award." Most restaurants don't even qualify for the 10-year requirement, which is probably the easiest criterion. It's an impressive award for sure, and even being nominated is a tremendous honor. This year's nominees are an amazing assortment of restaurants, each presenting a different experience. I love how the styles of food among these five restaurants range from the more traditional fare of Spiaggia (Italian fine dining) to the modernism of wd~50. There's also several restaurants that blend the "old world" with the new one, like the French-inspired Southern cuisine of Highlands Bar and Grill and Hearth's modern American cuisine with Italian influences. Even the dress codes range from casual wd~50 to "jackets are preferred" for men at Highlands. I don't know if I'll get a chance to visit this year's winner or any of the other nominees, but that doesn't mean I'm not curious about them. Thinking you might be too, I created these profiles of this this year's five nominees. After reading all their menus, I'm also very hungry. Dig in! Chef: Marco Canora, whose prior experience includes working as a line cook at Gramercy Tavern in the mid '90s under Tom Colicchio and as Colicchio's executive chef at Craft. Prior James Beard Award Nominations: Best New Restaurant (2004), Outstanding Wine & Spirits Professional (Paul Greico, 2010 and 2011). What I'd Order: Roasted Beet and Carrot Salad with Labneh, Apples, Granola, and Sunflower Sprouts; Smoked Chicken Breast - Braised Thigh, Chestnuts, Cabbage, Cranberry Beans, and Butternut Squash; Apple Cider Donuts with Apple Compote and Maple Cream. What the Critics Say: "One night in June, when restaurants in the East Village had their doors thrown open and the neighborhood took on a relaxed, unhurried mood, I ate a salad that put me in the same kind of mood: sweet, firm, bright-green favas and bits of soft young pecorino, dressed with vinaigrette and chopped parsley," Pete Wells, New York Times (Oct. 10, 2013). Chef: Frank Stitt, who was inducted into the James Beard "Who's Who of Food and Beverage" in 2011 and once worked at Alice Waters' Chez Panisse. 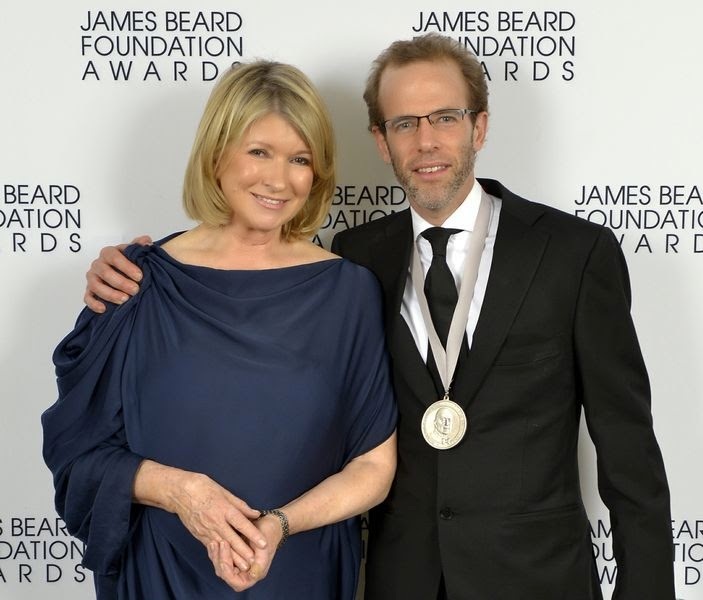 Prior James Beard Award Nominations: Outstanding Restaurant (2009, 2010, 2011, 2012 and 2013); Outstanding Chef (Frank Stitt, 2008), WINNER - Best Chef - Southeast (Frank Stitt, 2001). What I'd Order: Stone Ground Baked Grits with Country Ham, Mushrooms, Fresh Thyme and Parmesan; Jamison Farm Braised Lamb with Ragoût of Rancho Gordo Beans, Artichokes and Red Wine Jus; Banana Chocolate Mousse Cake with peanut butter crunch, chocolate chai mousse, and salted caramel sauce. Chef: Charles Phan, who was also inducted into the James Beard "Who's Who of Food and Beverage" in 2011. Prior James Beard Award Nominations: Outstanding Restaurant (2008 and 2013), Outstanding Chef (Charles Phan, 2010 and 2011), WINNER - Best Chef Pacific (2004). What I'd Order: Jasmine Tea-Smoked Prather Ranch Pork Belly with Roasted Red Grapes, Balsamic Vinegar; Oven Roasted Boneless Niman Ranch Short Ribs, Madras Curry, Baby Carrots, Butternut Squash, Celery Root; Strawberry Rhubarb Crisp with Candied Ginger Ice Cream. 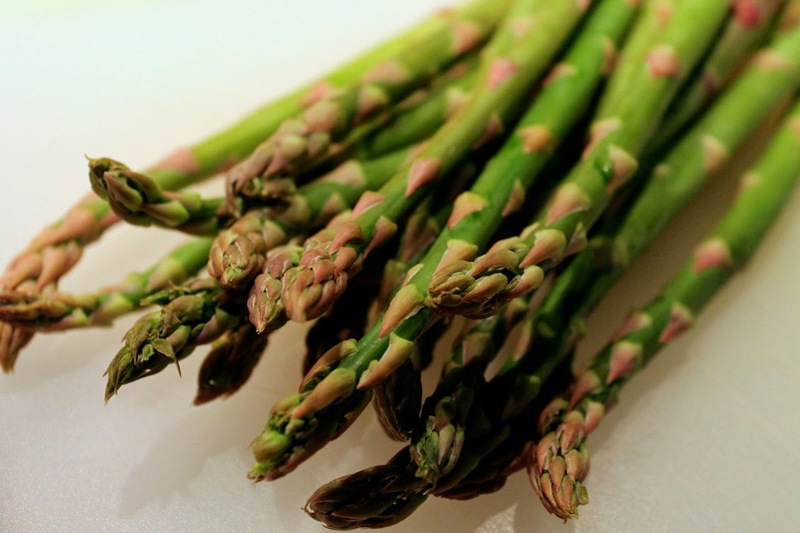 What the Critics Say: "I had a Chez Panisse moment with the asparagus. 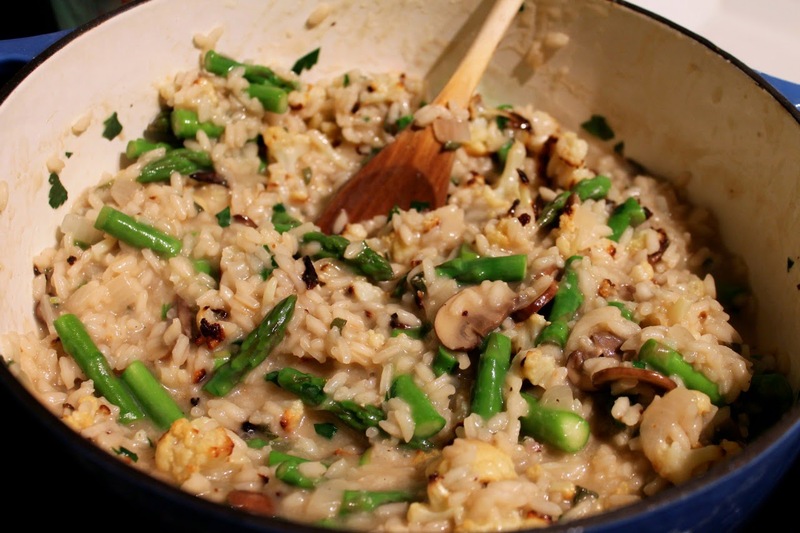 The stalks are sliced on the bias and tossed in the hot wok with morels; the smoky juices tame the vegetable aspects and bring out sweetness, making the morels even more intense. 'Wow, this is the way these ingredients are supposed to taste,' I thought," Michael Bauer, San Francisco Chronicle (June 20, 2004). Chef: Tony Mantuano, who appeared in season 2 of Top Chef Masters. Prior James Beard Award Nominations: Outstanding Restaurant (2006, 2007, 2010 and 2013), Outstanding Service (2008, 2009 and 2012), WINNER - Best Chef Midwest (Tony Mantuano, 2005). What the Critics Say: "A wondrous truffle-tinged raw lamb loin sandwiched with deep-fried focaccia and slices of grappa-poached pears is a miracle that stays crunchy in spite of wet Castelmagno fonduta and light despite the truffle decadence," Jeff Ruby, Chicago Magazine (May 22, 2013). Chef: Wylie Dufrense, who was once a sous chef at Jean Georges and is considered a leading American voice in molecular gastronomy. What I'd Order: (you don't really "order" at wd~50, since it's tasting menus unless you're in the bar) Squash-Roasted Peanut Soup, Cockscomb, Fig Tobacco; Mediterranean Bass, Celery, Macadamia, Grapefruit; Milk Braised Pork Collar, Sunchoke, Black Sesame, Kaffir; Apple Tart, Pomegranate, Swiss Chard, Pistachio. It's officially spring. Following a (hopefully) last surprise burst of winter weather Sunday and Monday, temperatures are finally starting to creep back up. It was a long, cold winter on the East Coast, and a lot of rest of the country as well. I'm definitely ready for spring and all the seasonal shifts in food and drink that come with it. Here then is a final toast to winter and a welcome to spring, a cocktail that melds the darker flavors of the cold months with the fresh flavors of warmer ones. Wall Street Journal writer Kate Christensen fashioned this drink with a Moscow Mule--a classic mix of vodka, ginger beer and lime--and Rye-and-Ginger in mind. It's a great drink, spicy and refreshing. 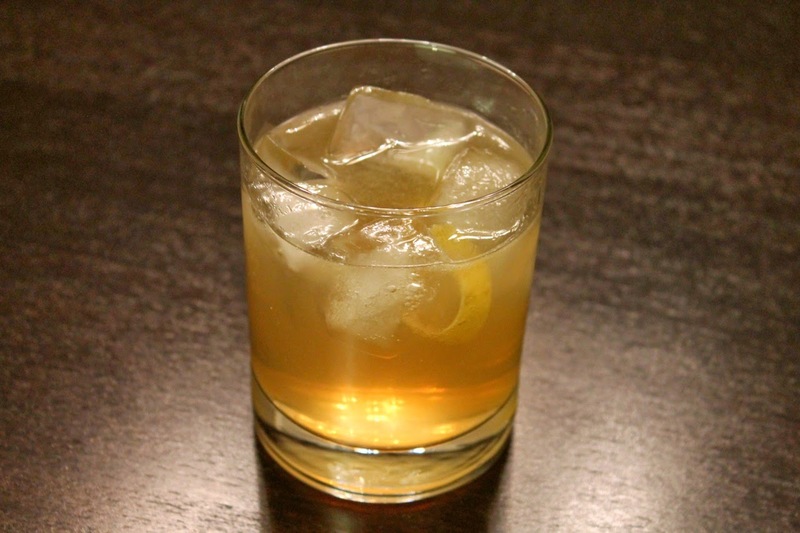 Add whiskey, amaretto and lemon juice to a rocks glass with ice. Top with ginger beer and stir to combine. Garnish with lemon twist. The Washington Post. My hometown paper snagged three nominations. I was especially gratified to see Tamar Haspel honored for her Unearthed column in the Food section, one of the most consistently interesting writers who points out that when it comes to food, not all is cut and dry, the truth is often a bit messy. Also nominated were Eli Saslow for a story on food stamps and Monica Hesse for a humorous piece on Gwyneth Paltrow’s cookbook. Washingtonian. The D.C.-area magazine snagged a nomination for Todd Kliman and Ann Limpert’s coverage in the publication’s food section, “Taste,” in the Food Coverage in a General-Interest Publication category. It also includes the Wall Street Journal’s coverage in its “Off Duty” section—which I’ve really been appreciating lately—and the Food & Wine section of The San Francisco Chronicle, which ceased to be a standalone section recently. 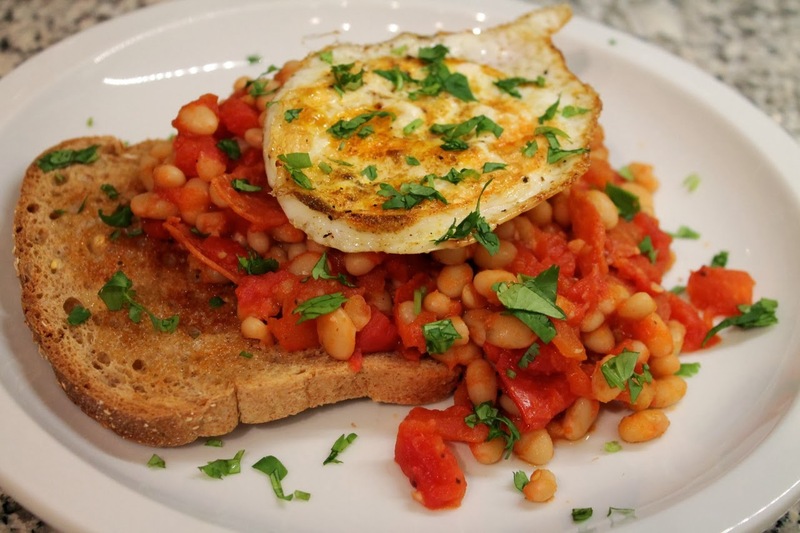 Individual Food Blogs. Elissa Altman is this year’s veteran, having won the award in 2012 for her site, Poor Man’s Feast, as well as snagging a nomination in 2011. Michael Procopio’s Food for the Thoughtless snags a nomination. Check out his piece on the Brown Russian cocktail. Lisa Fein rounds out the trio with Homesick Texan. Blue Hill NYC. The restaurant that won last year’s award for Best Restaurant is a return nominee this year for Best Service. We were certainly treated well when we ate there last summer. Salt Sugar Fat. Michael Moss’s book, which I enjoyed reading last year, is a nominee in the Writing and Literature category, along with A Fork in the Road: Tales of Food, Pleasure and Discovery on the Road, edited by James Oseland, and Provence, 1970: M. F. K. Fisher, Julia Child, James Beard, and the Reinvention of American Taste, by Luke Barr. Lucky Peach. The offbeat David Chang and Peter Meehan food journal, which I always enjoy reading, snagged an amazing seven nominations across multiple media categories. Christina Tosi. Sure, Dominique Ansel, inventor of the cronut, is also nominated for Pastry Chef this year, but I’m putting my support behind Momofuku's head confectioner Tosi, who’s been a big inspiration for me in recent years. Clyde Common. Snagged an Outstanding Bar Program nomination. Kudos to Jeffrey Morgenthaler. Best Chef – Mid Atlantic. Vikram Sunderam of Rasika is the sole Washington, D.C. nominee in this category this year, which also includes Cathal Armstrong of Restaurant Eve (Alexandria, Va.), Spike Gjerde of Woodberry Kitchen (Baltimore, Md. ), Brad Spence of Amis (Philadelphia) and Cindy Wolf of Charleston (Baltimore). Washington Post: “Rammy Awards change judging process, but is this the right recipe for legitimacy?,” by Tim Carman. 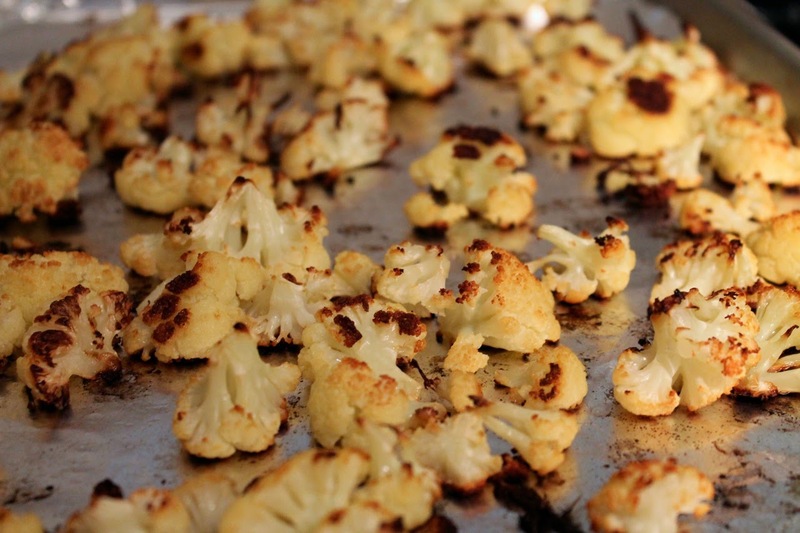 Washington Post: “Cauliflower gets chicken-fried for a vegetarian take on a Texas classic,” by Joe Yonan. “Chicken-Fried Cauliflower?! Yonan’s taking this vegetarian thing too far.” Five bucks somebody says that in the Post’s Free Range chat tomorrow. My take? The recipe sounds awesome, especially the part about making it smoky. Yum. 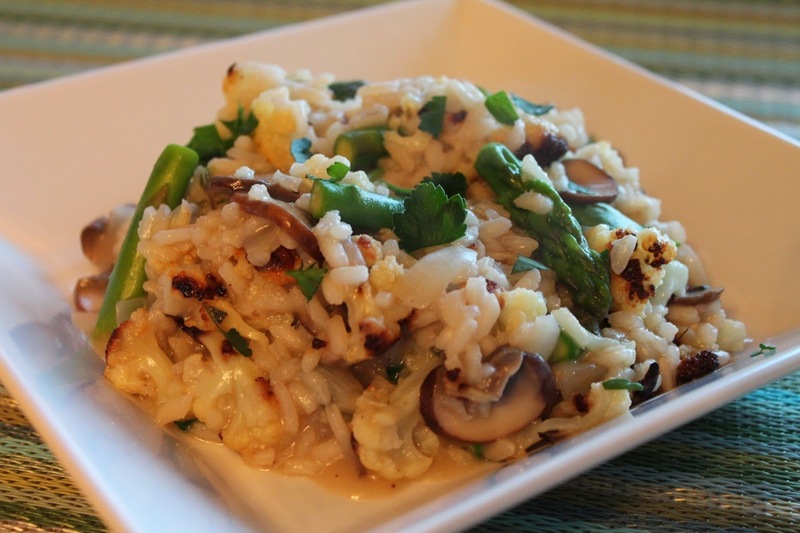 NPR: “Top 5 Ways Asparagus, A Rite Of Spring, Can Still Surprise,” by Dan Charles. I’m so ready for spring, and just because I want it to warm up. I’m ready for spring cooking and asparagus typifies spring produce for me more than any other vegetable. Charles offers a fun list of trivia about the curious green stalk. 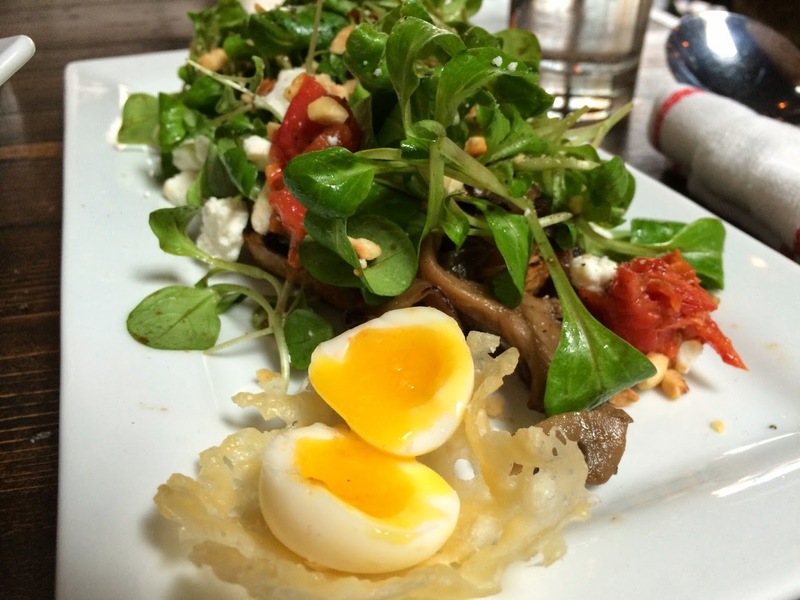 New York Times: “An Inspired Lunch Puts Brunch to Shame,” by David Tanis. Tanis, a Beard Award nominee this week for his cookbook, One Good Dish, makes a good case for skipping brunch and going straight to lunch. Fast Company, “How Chipotle Changed American Fast Food Forever,” by Denise Lee Yohn. 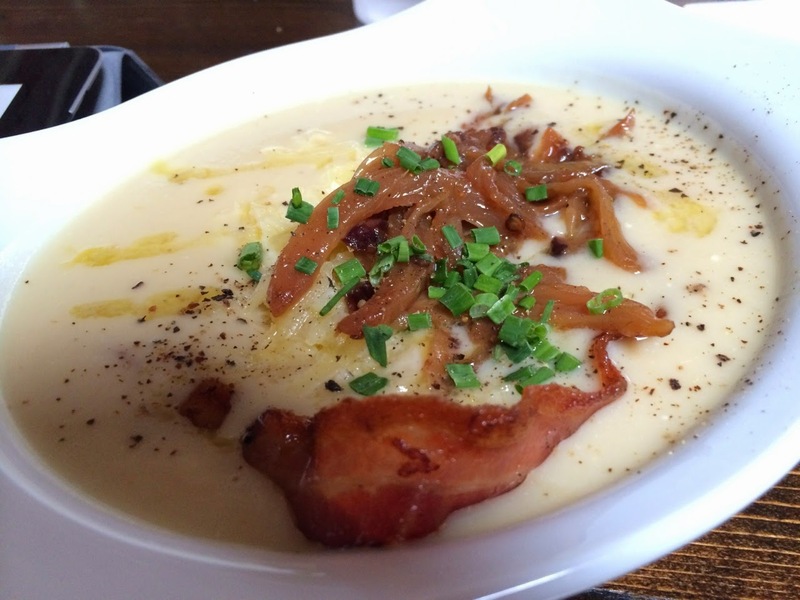 University of Maryland Spoon Unversity: “Top 5 Most Underrated Ingredients,” by Shawn Eliav. I came across Spoon University this week, because an article in it used one of my photos. It’s an online food journal produced by University of Maryland students. How cool! And who doesn’t enjoy a good food listicle, like Eliav’s ingredient list. It’s hard to imagine any thinking these are underrated ingredients though—I consider most of them essential. April 2014 Update: Silo has made a few changes. There is a new chef, and the menu is more American bistro without the French and Swiss influences. 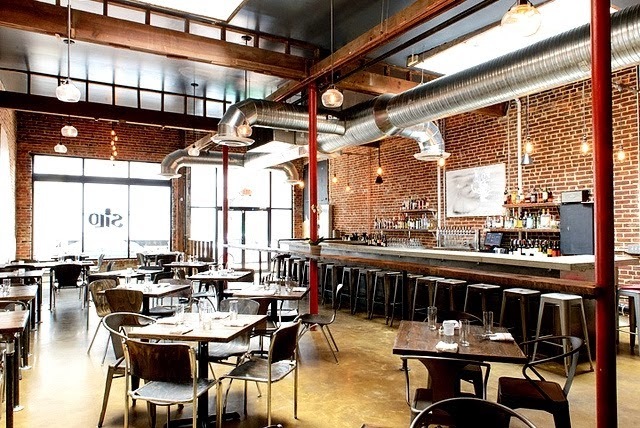 Silo's hours have also changed, with the restaurant serving weekday lunch only on Friday. D.C.'s Penn Quarter and Chinatown are bustling neighborhoods full of an expanding lineup of interesting lunch options catering to both the office workers and tourists that fill sidewalks at midday. It can be fun, but for a quieter lunchtime outing I find myself headed instead to Mount Vernon Triangle, the up-and-coming neighborhood of expanding restaurant options just north of Chinatown. Silo is a great addition to the area. It's a beautiful, open space of exposed brick, patches of plaster, concrete floor and exposed air ducts with dark wooden furniture. Floor-to-ceiling windows on the street side and skylights in the back keep natural light filtering throughout the whole restaurant, preventing it from feeling cavern-like. If you like restaurant design that's simple and minimal, this is a nice example. Silo's cool minimal-industrial interior; photo courtesy of BadWolf DC, a blog about D.C. news, restaurants, events and more. The minimalism extends to the lunch menu. It's a short selection of starters, salads and sandwiches, but one that shows some good thought as well. Finding something I'm in the mood for has never been a problem at Silo, and I've enjoyed everything I've sampled, although, as I'll point out there are little tweaks I think would make some of the dishes even stronger. Soup has been a definite strength. The Kohlrabi soup, which is a menu staple, is a wonderful blend of sweet and earthy flavors given richness with fennel oil and gruyère cheese. Kohlrabi is one of those vegetables that gets more ink than grocery store space, so it was nice to finally try it. The component of this soup that doesn't quite work is the bacon strip, included whole, which makes it impossible to eat with a soup spoon (cut up into lardons, it would be perfect). 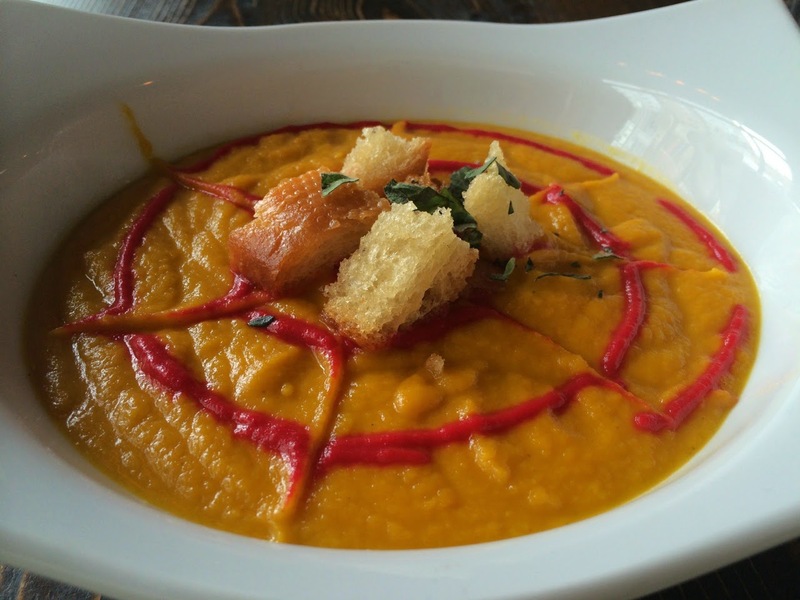 I also enjoyed a daily special vegan soup of carrot, butternut squash and curry, so thick it almost crossed the line from soup to puree. This soup was also a nice blend of sweet and spicy, topped with fresh oregano and croutons. 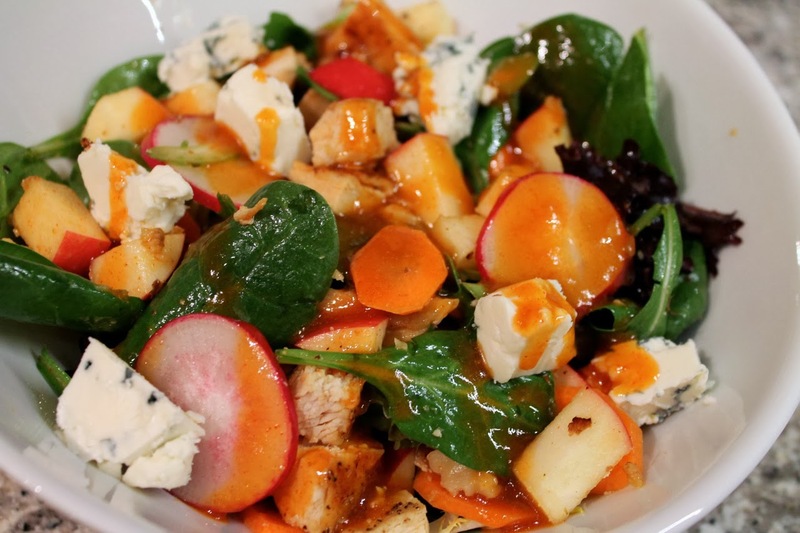 Salads show interesting combinations and a welcome restraint with the dressing. To accompany the kohlrabi soup, I enjoyed a mâche garden salad. Its combination of mushrooms, hazelnuts and goat cheese really hit the spot. I find mâche a little hard to deal with at home (it grows in clumps, so it requires a little more prep than your average salad green), so I appreciate getting it at restaurants. The salad comes with a side of quail egg, which is a nice touch, although I don't think the "cheese nest" they sit in is needed. Another salad of spinach, arugula and sprouts with shaved apple, roasted beets and grapefruits was another winning combination of fresh flavors. Last but not least is the burger. It caught my eye on the menu the first time I visited, but owner Reza Akhavan told me it wasn't available yet, as they were still looking for just the right ground beef to perfect the sandwich. During my second visit to Silo, the burger was finally ready, so of course I had to have it. And I wasn't disappointed. 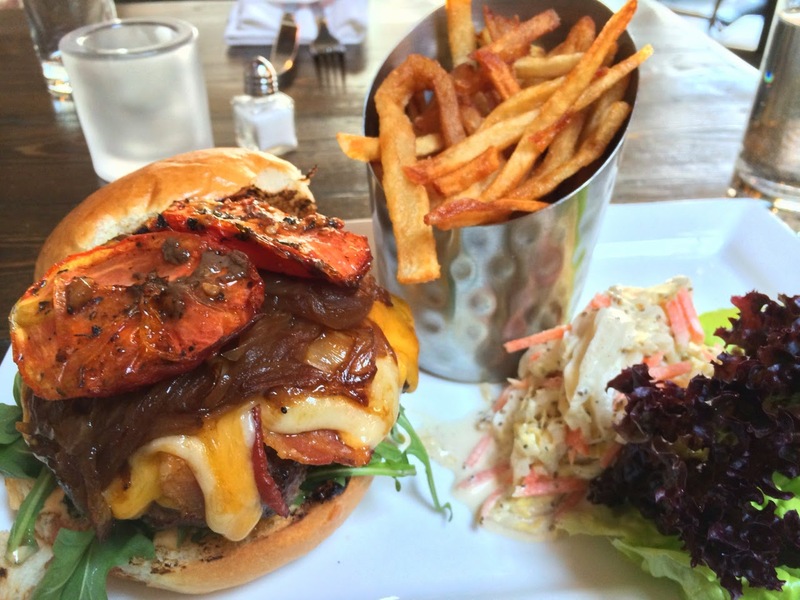 This is a pretty serious burger. If you get it with all the options, which I did, it's a delicious tower of excess, featuring gruyére and cheddar cheeses, roasted tomato, caramelized onion, bacon and pickles. The meat itself was also quite good, although my order of "medium-rare" came out cooked a bit past that. The hand-cut fries and cole slaw that accompany the burger were good too. Silo is closed on Monday but open for lunch the rest of the week and does a brunch on weekends, as well as dinner nightly from Tuesday through Sunday. I haven't been to Silo for dinner, and Washington Post critic Tom Sietsema's First Bite wasn't particularly positive. But expectations for lunch can be different than for dinner, and I wouldn't hesitate to return to Silo, especially if they change the menu soon for spring. Chef George Vetsch, formerly of C.F. Folks, had been working the kitchen when Silo opened but departed recently, leaving sous chef Calvin Di Giovanni at the helm. With the Swiss Vetsch out, it will be interesting to see if Silo retains its "modern American cuisine with a Swiss/French twist" or changes course a bit. Silo, 919 5th Street NW (between I and K Streets), Washington, D.C. (Mount Vernon Triangle). (202) 290-2233. Reservations: City Eats. Update: As of December 2015, Aggio is closed. Range, its parent restaurant, remains open. I fell hard for Range the first time we visited just over a year ago. Bryan Voltaggio's spacious and ambitious Friendship Heights restaurant managed to effectively meld grilled food, pizza, Italian, raw bar, bakery and more into one attractive package. During our first trip, we went the steakhouse route and were completely charmed. 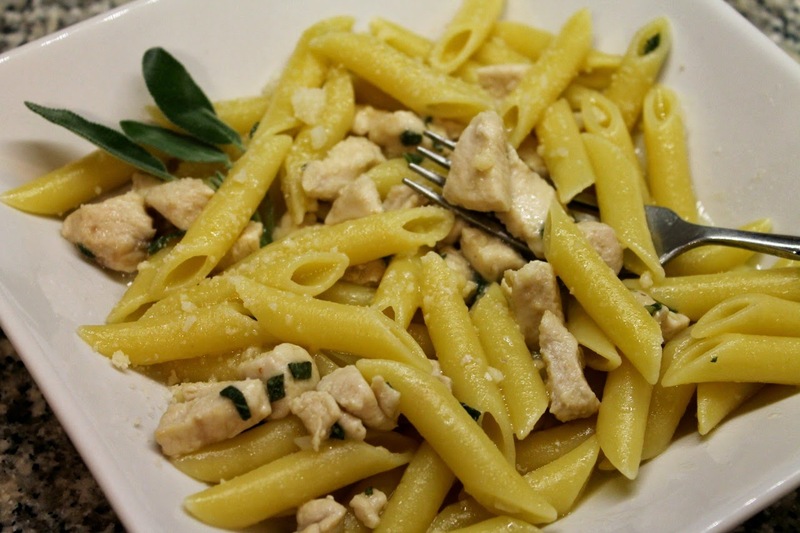 On our second visit, we opted instead for Italian fare and , while we still enjoyed the experience, it wasn't quite a magical as our first time. With that in mind, I wasn't sure what to expect from Aggio, the new restaurant-within-a-restaurant concept that Voltaggio has created inside Range. However I am pleased to report that we were thoroughly charmed by it. 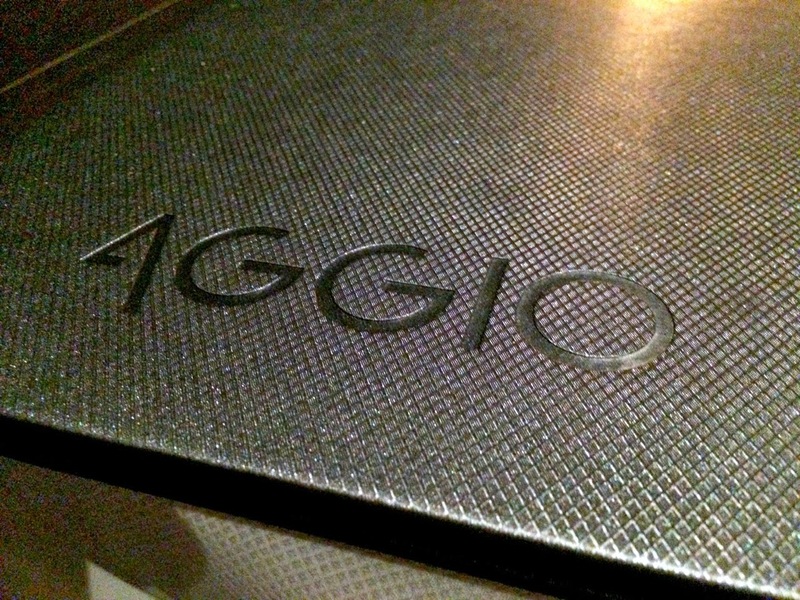 Where Range is expansive, Aggio is narrow: a shorter menu focused on Italian cooking. 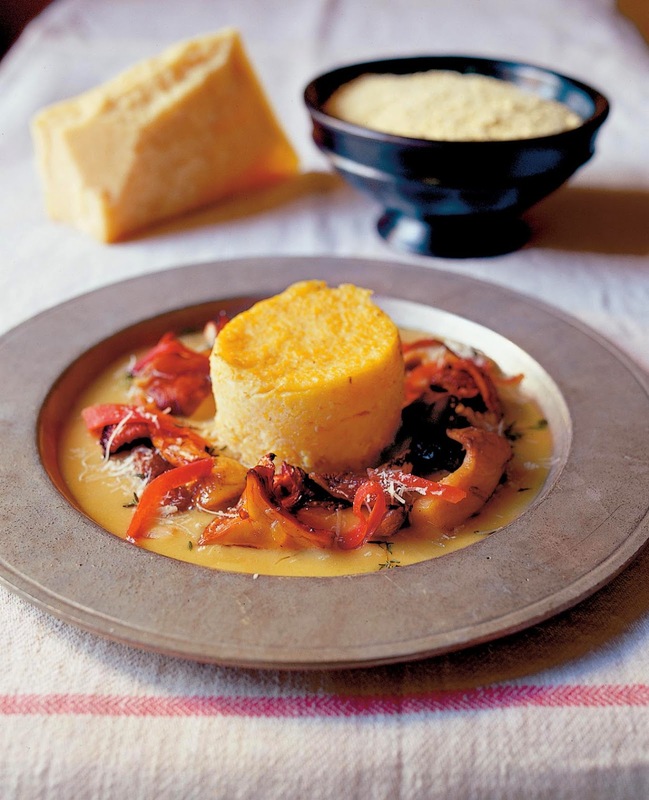 Range's dishes are meant to be shared; Aggio's are served as individual portions. The Range section of the restaurant is bright and boisterous; Aggio is situated in the quieter and now even darker back portion of the restaurant. It's clearly a different experience. Getting to Aggio means passing through Range. So even though Aggio has its own host stand, you still check in at Range, then you're led back to the Aggio entrance where you wait again. There were so many welcome greetings between the initial check-in and being seated that I got a little confused as to whether I was supposed to follow said greeters to my table. The entrance to Aggio lies at the intersection of the hallway to one of the kitchens so it's kind of a busy place. And despite Open Table's confirmation that Aggio, like Range, is "smart casual," it's definitely a bit more formal than Range. All this fuss raised a certain level of anxiety before we'd had our first bite. 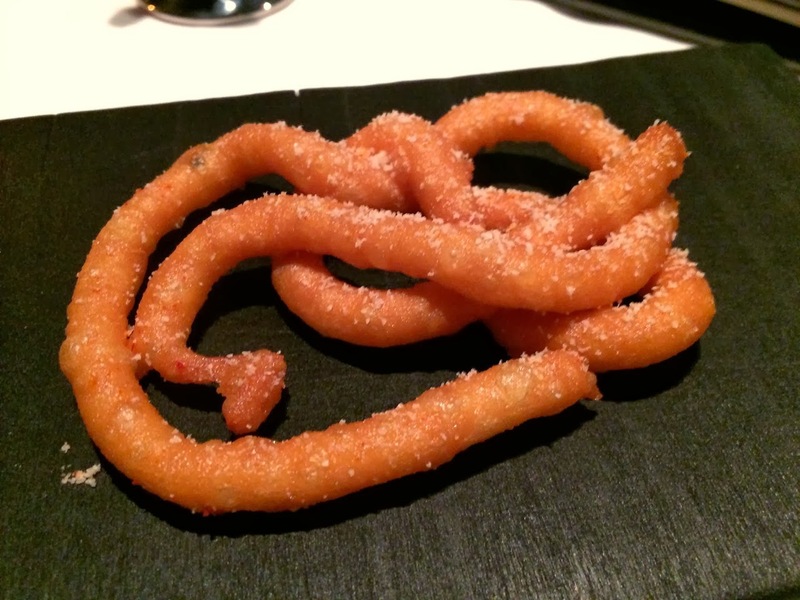 The parmesan funnel cake amusé has a crispy exterior, soft interior and savory cheese flavor. But once we were seated and got acquainted with our very gracious server Gerard, we quickly got into the groove of what is a decidedly successful addition to the Bryan Voltaggio restaurant empire. Any inkling that the Italian side of Range was a weaker link quickly evaporates with Aggio. The food was outstanding. And those musings about the uneven service? I still don't get that. Everyone was falling-over-themselves nice and quite attentive. The only misstep was that someone refilled my still water glass with sparkling water. Oh the horror. A great amusé should get tongues wagging, and Aggio has succeeded with its parmesan funnel cake, already one of the buzziest tastes coming out of the kitchen. Instead of powdered sugar, the summer boardwalk staple comes dusted with dehydrated parmesan, a crisp and savory introduction. It's followed closely by crispy breadsticks dusted with aromatic fennel pollen and rosemary focaccia bread with creamy ricotta and olive oil (plus an interesting pureed mortadella spread). We started the meal proper with a beautifully composed plate of chioggia beets with tomatoes, rosemary, pine nuts and arugula, which brought back fond memories of the roasted beet and carrot salad we enjoyed years ago at Voltaggio's Frederick, Md., restaurant Volt (a dish I paid homage to with my beet salad). Caesar Salad's rousing comeback gets yet another great twist at Aggio, where the salad is composed of romaine hearts, kale and collard greens. The hearty greens are thankfully handled with skill to prevent an endless round of chewing. The shavings of smoked dehydrated scallop that a server adds as a final touch impart the subtle fishy pungency usually left to anchovies. 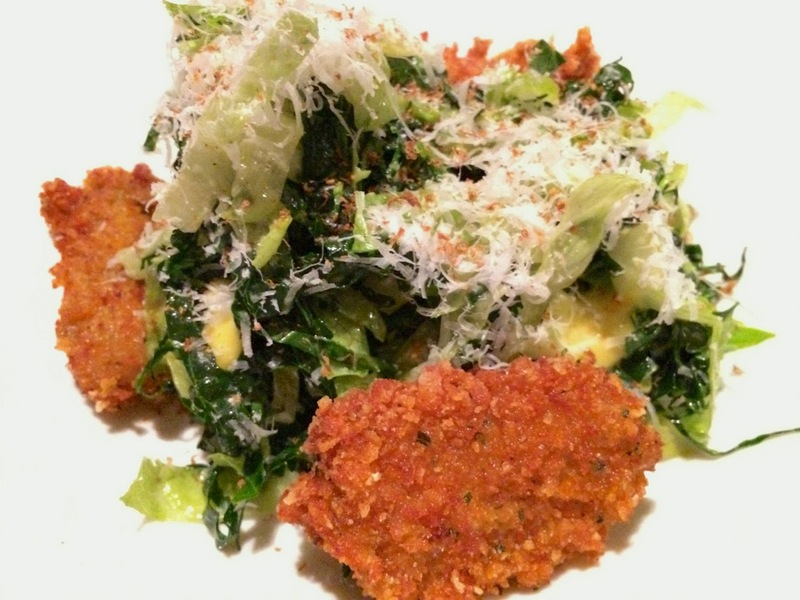 The best part of the salad is the fried oysters; crispy on the outside and luscious on the inside, they make a great stand-in for the typical croutons. Our pasta choice was the meatballs with chittara (like spaghetti but formed a little differently), which was another highlight. 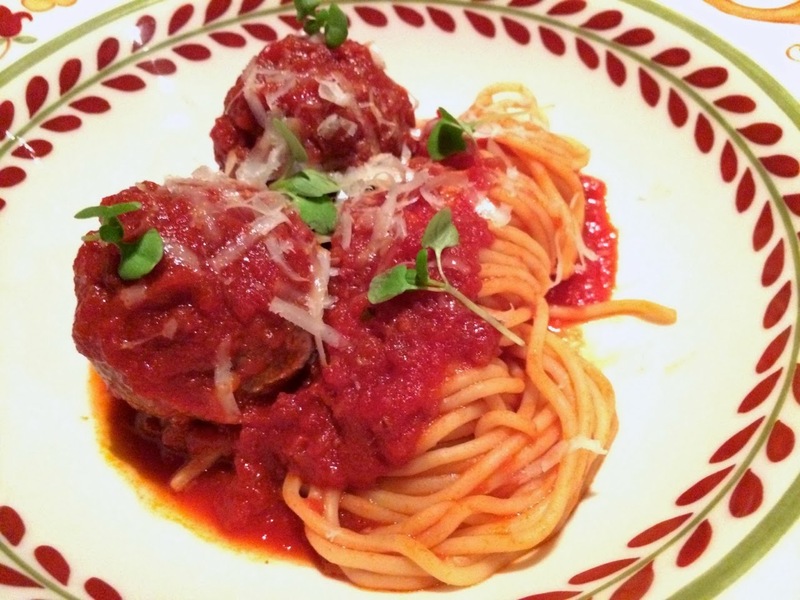 The pasta was perfectly cooked, and if you like meatballs, these are great ones: sized between golf balls and tennis balls and made with three meats. Our server explained that the ragu pomadoro's subtle sweetness comes from carrots, one of the many delicious tidbits he dropped throughout the evening. Portion size is definitely something to consider when ordering at Aggio, and our server helped with this. The meatballs, for example, are a large dish that is easily shared, whereas the guinea hen is really a smaller portion just meant for one (we shared both anyway though by passing our plates). This was another nice dish. The hen was cooked just right and accompanying sauce had just the right amount of sweetness. The only thing that disappointed us during dinner was the side of broccoli rabe, which was a bit stringy and under-sauced. An evening at Aggio certainly benefits from having Range nearby. When we wanted some glasses of wine, we got the benefit of advice from Range's Master Sommelier Keith Goldston in making our choices from its list of Italian reds. The glasses were then delivered by Aggio's Master Sommelier Kathy Morgan, who imparted more knowledge about what we were drinking and checked back with us about whether we were enjoying it (we were, of course). We also sampled a couple of Aggio's cocktails named for famous Brat Packers. It's It's hard to say whether I liked my Chairman (that's Frank Sinatra's nickname, Chris tells me) made with genever, kina l’avion d’or (a quinine-flavored aperitif), Gran Classico, chablis and flavored with oak or Chris's Sammy Davis Jr., a gingery concoction of Ramazotti (an Italian amaro), bourbon, bitters and ginger beer. Range has already distinguished itself with its cocktail offerings, so it's no surprise that Aggio presents similarly interesting choices. 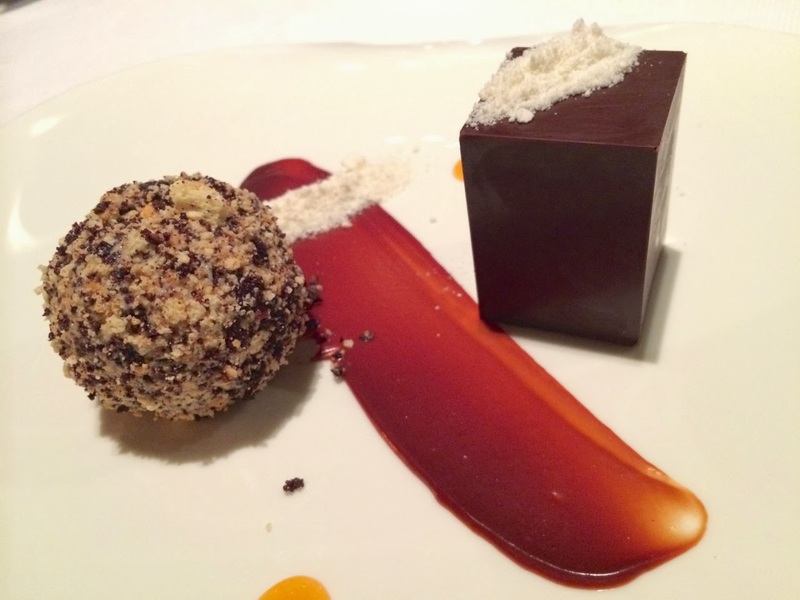 We finished the night with a delightful dessert duo: a mysterious box of hard dark chocolate that, when broken into, reveals a filling of mascarpone and chocolate mousse, and a ball of coffee orange gelato rolled in hazelnuts, the two separated by a swath of caramel. As if this wasn't enough sweet treats, coffee and pomegranate truffles arrive just before the bill. 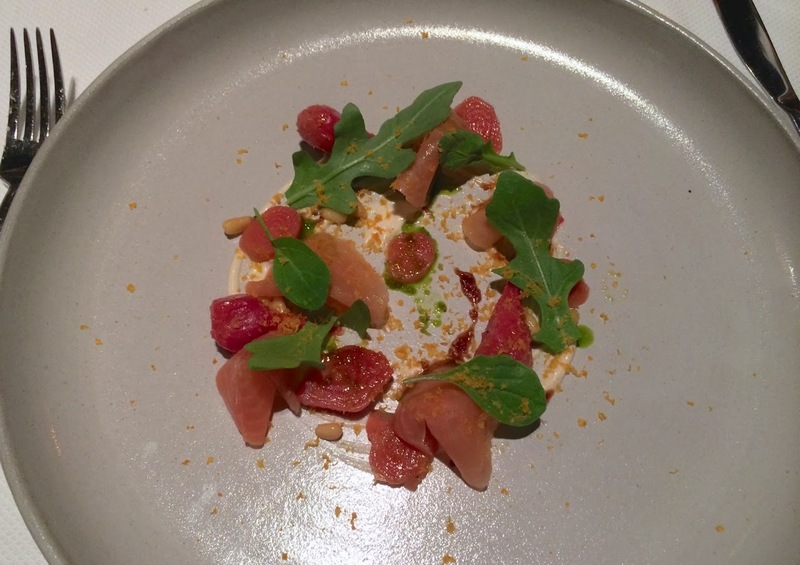 Our experience at Aggio was so pleasant that next time we want a fine dinner from a Bryan Voltaggio establishment in Friendship Heights it will be hard to choose. Further complicated matters is the fact that he's relocating his casual soup and sandwiches lunch spot Lunchbox (which was in Frederick, Md. and closed a few months ago) to the Chevy Chase Pavillion two floor down from Range/Aggio. Thanks Bryan! After having loved Volt, Range and Aggio, I'm sure we'll find plenty to love at Lunchbox too. Aggio, 5335 Wisconsin Avenue, NW (in the Chevy Chase Pavilion shopping center), Washington, D.C. (Friendship Heights). (202) 803-8020. Reservations: Open Table.